Power for Employment provides women with interviewing skills, updating resumes and job applications. Let the YWCA help you with basics in job searching, improve you resume, practice interviewing and job search. 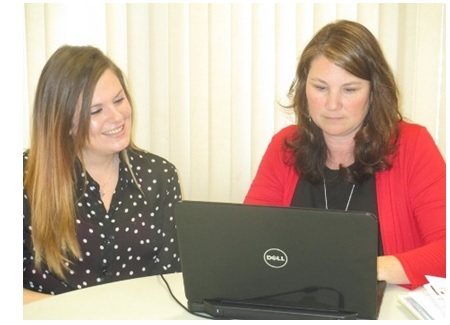 Power for Employment last year assisted 140 women with resume and job search assistance. This year our numbers have doubled with 82% success rate of employment. Imagine a woman entering the job market, perhaps for the first time without an appropriate business outfit or even a decent pair of shoes. Perhaps she has completed training classes and job readiness programs, but she simply does not own the clothing appropriate for the job she is seeking. The YWCA Career Closet can help. Career Closet is a community resource for economically disadvantaged women who seek to gain and retain employment, advance their careers, and improve family stability. Through Career Closet women receive free interviewing clothing, work appropriate attire, and may attend personal and professional development presentations to help empower them to achieve their goals. More than 1500 women have received Career Closet services since 2005. Please call us for an appointment. All clientele information is confidential. Donations for Career Closet Needed-Donations are accepted all year long, regardless of season. Hygiene products (toothpaste, toothbrushes, shampoo, conditioner etc. ), Purses, Trouser socks, Black soled shoes no slip for restaurants, Dress slacks, Gently used bras (new undergarments), pantyhose, new undergarments and any clothing appropriate for work. Finding a job can be hard, and adding a former prison sentence can make it even more difficult. The Career Closet at the YWCA in Hastings gives women the tools to get a fresh start on life after months, and sometimes years, of unemployment. A guided grocery store tour teaching skills for buying healthy foods on a budget. Want to buy healthy foods for your family? Need some tasty and healthy recipes? If you said yes, come join us for a free guided grocery store tour! Contact us for dates & a reservation ~ 402-462-8821 or a virtual tour option for a group. We do the planning and preparation, offering healthier choices than fast food and eating out. Research has shown that adults and children underestimate calorie content often by large amounts. According to the Journal of the American Medical Association, a study published in 2013 that the average restaurant caloric intake is 1,128. YWCA Freezer Meals empower women to offer a healthy alternative for her family at a minimal cost! Each meal feeds 6 to 8 people. Call no later than Friday to sign up and pick up your meal on Thursday. Join us…The YWCA Adams County and Hastings Multicultural Association invites you to attend upcoming diversity training and educational opportunities, every 4th Tuesday of the month at 12:00 pm (noon). Lunch is provided – Free will donation! Donate your gently used dress or set a reasonable price of your own and make a little extra money! Consignors get first shopping pick! Remember: recent dresses sell best! 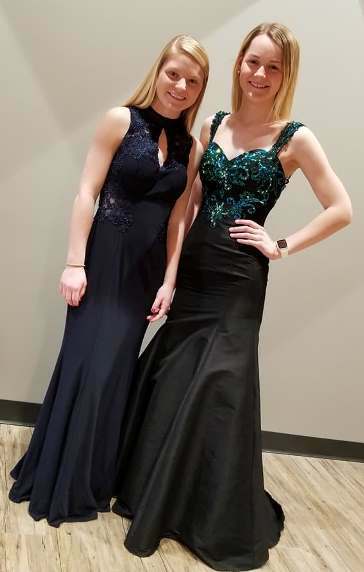 People are looking for good deals on great dresses! Location: 2525 W. 2nd St. Suite 110, 402-462-88821.